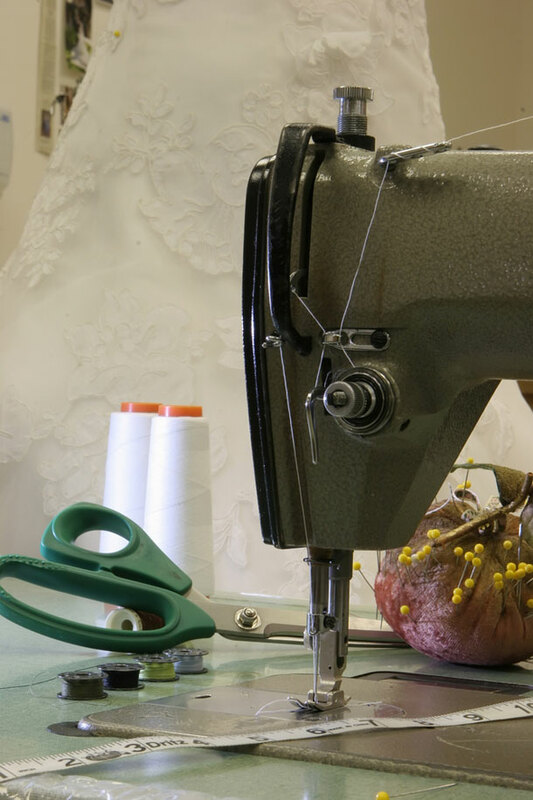 For those green brides out there concerned with the carbon footprint of the average wedding dress, upcycling – or remaking cast-off items into something different and better – is the height of fashion chic. And with people like the beautiful Livia Firth (wife of Colin Firth – I know, I know how awful that he’s married! ), queen (and founder) of the Green Carpet Challenge (stars prepared to paint the red carpet green by wearing only clothes designed by ethical companies; a list that includes Meryl Streep, Stella McCartney and Cameron Diaz), at the helm of such a push for eco fashion, there is no reason why you cannot glitter as fashionably as she does on your wedding day. Reclaim to wear, or upcycling, is Livia’s forté when gracing the red carpet with her prominent husband. For the Paris premiere of The King’s Speech, she wore an outfit made of one of his old suits, and at the Golden Globes she wore an upcycled wedding dress, or a re-purposed Christiana Couture wedding dress, even if most people fail to ‘get it’. But whilst Livia aims to change the red carpet, there is no reason why you cannot paint the wedding aisle green. Repurposed clothing is not always easy to achieve because it isn’t simply about wearing vintage or secondhand. The idea is to remake it to fit an entirely different purpose. There are other names for upcycling – ‘customised clothing’, ‘lyric couture’ and ‘reincarnated rags’ – and the idea is clothing remix. Not only that, redesigned clothing is generally more expensive too – creating a handbag from an old uniform jacket costs more. Whilst this is fairly easy to do if you’re changing a wedding dress into a fashion statement on the red carpet, it might not be quite as easy to do for a wedding. Refit and reshape with darts, seams, panels, etc. Trim or decorate with new fabrics, lace, yarn etc. Toms All The Rage, But Can You Wear Them To A Wedding?